KIEV, Ukraine -- A Ukrainian opposition party led by former president Viktor Yushchenko intends to ask the country's leadership to halt a planned erection of a monument to Soviet dictator Joseph Stalin in the south of the country. Ukrainian Communists announced earlier that a monument to Stalin would be put up in Zaporozhie ahead of May 9 Victory Day celebrations. Irina Herashchenko, a member of the Our Ukraine party, said the demands to stop the "revenge of the Reds" would be forwarded to President Viktor Yanukovych and the country's parliament. "The Communists intend to erect a monument to Stalin in Zaporozhye and say that such monuments will be erected in other [Ukrainian] cities... Our party intends to appeal to the president with the demand to stop this," she said. 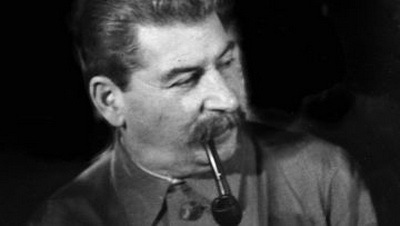 Communist Party members and veteran organizations insist that it was Stalin's leadership that pulled the Soviet Union through its darkest hour and freed Europe from the tyranny of Nazism. However, rights organizations and analysts, among others, say that Stalin's mass purges of the army in the years before the war left the country exposed to an attack by Germany. During Stalin's reign, millions of people across the U.S.S.R. were executed on false charges of espionage, sabotage and anti-Soviet propaganda or died of starvation, disease or exposure in labor camps.